Martyn Hilbert's Railway Photography - Last additions - Ex BR Class 05s, D2587 & D2595 at Kearsley Power Station. Ex BR Class 05s, D2587 & D2595 at Kearsley Power Station. 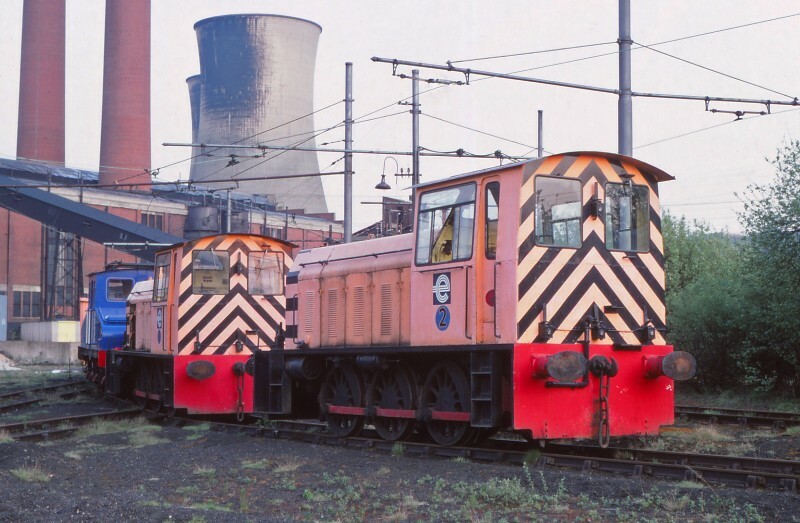 With the structures of the mothballed power station at Kearsley as a backdrop, Ex BR Class 05 diesel shunters that had been CEGB Numbers 1 & 2 from Chadderton power station, were stored with other redundant CEGB North West Area locomotives on the evening of May 13th 1982. The power station opened in 1929 and closed in October 1980, Everything has since been demolished and cleared, and housing now covers the area.